Soaking in a hot tub is great for relaxing and having some luxury pamper time; but they can do a great deal more for your health and well-being. The health benefits you acquire from regular hot tub use is very promising for your mind and body. Here are some of the health benefits that a hot tub can provide for you. Physical ailments and general discomfort are very common nowadays. Millions of people throughout Essex and the UK, suffer from chronic pain in their joints and muscles. Soaking your body in a hot tub can help ease the pain, as the hot water combined with massaging jets can help to relax and soothe your aches and irritations. This is known as hydrotherapy and is used by millions of physiotherapists around the world. Its is widely practiced to help people with long term pain management and to relieve the build up of tension in their muscles. Millions of people suffer from insomnia or problems with falling asleep. This could be due to stress, tension or pain. Relaxing in a hot tub can help your body to relax and wind down; aiding in a better nights sleep and overall improved sleeping habits. This is why many customers, use their hot tubs regularly in the evening. Unfortunately, many people struggle with emotional health problems. This could be due to anything such as: stress, depression or anxiety etc. Relaxing in a hot tub can help you seek comfort or quiet time away from the stresses of life. Whether you are having problems with work, health or your personal life, regular hot tub use can improve your emotional health and give you an improved quality of life.  At Platinum Hot Tubs Essex, we can help you find your perfect hot tub and provide you with a luxury way to relieve your stress and uplift your mood. Hot tubs are a great way to spend time with family and build relationships. With the absence of computers, TVs, phones and other technology; a hot tub can help you have quality time with family without any disturbances. For this reason, a hot tub is perfect for families and couples who want to spend time together and make beautiful memories in their homes. A hot tub is a great way to exercise. Whether you are a gym buff, an experienced athlete or a casual exerciser, there are many great water-based activities you can do. From aqua aerobics, yoga or stretches etc, there are many forms of fitness benefits to suit your needs. It is even beneficial for those who are less-abled or require gentle exercise, as they can simply have light exercise in the comfort of their homes. As you can see, a hot tub has many great health benefits. When you buy a hot tub you are not just investing in your home; you are investing in your mind and body. A hot tub can change your lifestyle and leave you feeling refreshed and revitalised. If you would like to know more or would like to view some of our premium hot tubs, please visit our showroom or contact us here at Platinum Hot Tubs Essex. We look forward to hearing from you.